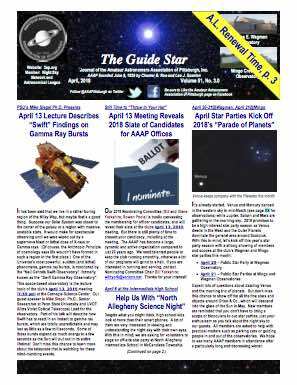 ” The webcast will feature Slooh host Eric Edelman, Slooh astronomer Paul Cox, Fr. James Kurzynski, who is a Catholic priest and a blogger for the Vatican Observatory, and astronomy journalist and author Bob Berman. “Both Berman and Fr. Kurzynski have written extensively about the potential culprits behind the famous Star of Bethlehem. They’ll share what they’ve learned, as well as their personal beliefs, live on the air,” Slooh representatives wrote in a statement. 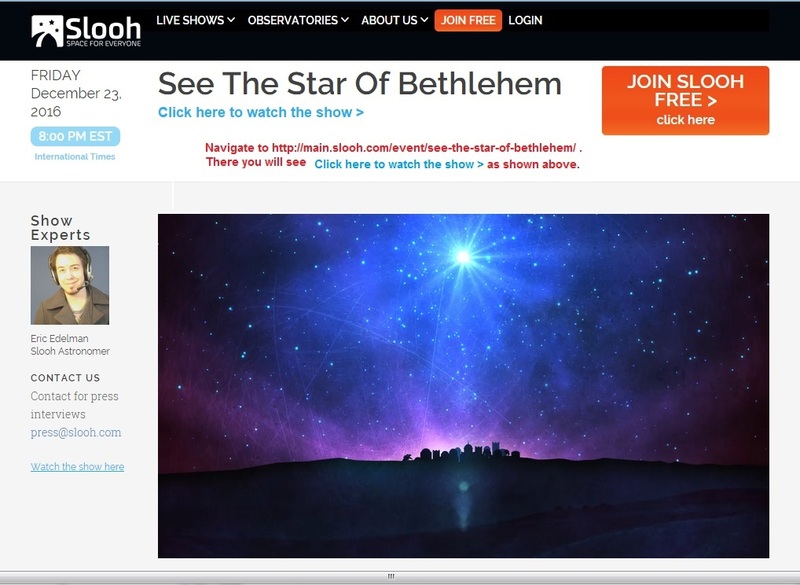 The online Slooh Community Observatory will host a live webcast tonight (Dec. 23) concerning what cosmic object the famous Star of Bethlehem might have been. The show begins at 8 p.m. EDT (0100 on Dec. 24 GMT) and will be streamed live on Slooh.com. The broadcast will also appear in the window below, courtesy of Slooh. Note the upcoming Quadrantid Meteeor Shower to peak on the night-morning, January 3-4, 2017, to be noted in post next week. Also look forward to the Friday January 13, AAAP Meeting featuring Thomas Beatty, Phd. on Extra Solar Planets. In the meantime we are working next week on livestreaming that talk and possibly the meeting. Should you have interest in contributing to the efforts please email VicePresident@3ap.org . Students on seasonal break are encouraged to participate and to avail themselves opportunities to remotely participate in the meetings. We hope all of our members will be able to enjoy increased participation through streaming of meetings. A portion of the November meeting had been made, is, available on Facebook at that time. The December meeting being a Holiday Party was not recorded for sharing.